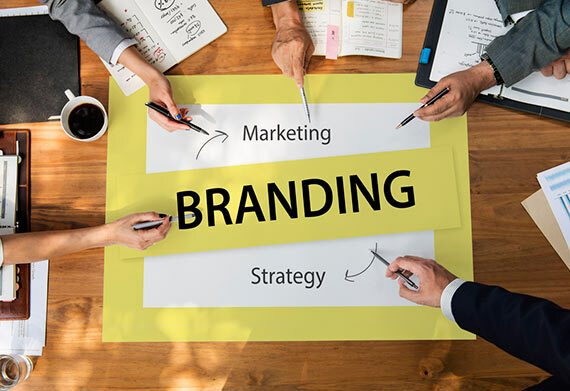 Branding is what makes your business stand out from others in your marketplace. Giving a little bit of thought to this important aspect of your overall marketing program is important and can impact how customers view who you are and what you do. This issues gives you some tips on how to create a winning brand strategy. A brand, such as Starbucks or Apple, is much more than just a name. Branding encompasses all the thoughts, feelings and emotions people experience when they hear the words "Starbucks" or "Apple." Your brand represents the commitment you make to your customers through your product or service. Is your business trendy or classic? Who is your target audience? What is your mission? Building a brand requires careful thought and consideration. Use these guidelines to create a brand that's unique, memorable and appealing. • Figure out who your target audience is. Learn more about their wants, needs and shopping habits by talking to them and following relevant social media accounts. • Develop a positioning statement. You'll be tempted to include everything but the kitchen sink, but communicating too much ultimately communicates nothing at all. Stay focused and craft one or two lines that sum up why your business matters. • Choose a business name, which isn't as easy as it sounds. If the name is too on-the-nose, it could be awkward if you plan to expand your offerings down the road. You also have to consider logos, website domains and trademark registrations. • Once you have a name, it's time to work on fonts and colors. Unless you have a specific reason for choosing something a little more complex, stick with clean and simple fonts. • Choose a palette based on the psychology of colors, but make sure you consider how it looks in black and white and against different backgrounds. • What would a brand be without a logo? In addition to the design elements, check to make sure it's scalable across a range of sizes. • Write a short but punchy slogan that immediately paints a picture. A slogan is a great way to maintain consistency, but you can certainly adapt it over time as you refine your marketing efforts and strategies. Now that you've created a polished and powerful brand, start applying it across all phases and segments of your business. Don't forget that consistency is key. Looking for a California fulfillment services company that will help maintain the integrity of your brand? Contact us to find out why Medallion Fulfillment & Logistics will provide the consistent service your customers expect. With Medallion Fulfillment & Logistics, you can outsource the warehousing, reordering, order processing, and shipping of your T-shirt, apparel and clothing SKU's. Our software now integrates with more popular ecommerce shopping carts than ever before. Check out which carts we flow data from and to.